WINK online (a media outlet, not a dating website) recently published an article, "Sheriffs look at options amid DeSantis immigration push", about the immigration positions being taken by Ron DeSantis, former congressman and, since January, Republican governor of Florida. It points out that, despite DeSantis distinguishing himself from both his Democratic and Republican opponents during the campaign by arguing in favor of universal E-Verify, he's done nothing to push its passage through the Florida legislature. But that's a discussion for another time and place. I want instead to focus on what most of the rest of the article is about: cooperation between state and local enforcement agencies and federal immigration authorities to ensure that alien criminals are identified, apprehended, detained, and (at the end of any sentence imposed for state crimes) deported. Thirty-seven of the state's 67 sheriffs currently have some sort of agreement with U.S. Immigration and Customs Enforcement, or ICE, that allows the local officials to keep locked up individuals who may be eligible for deportation until ICE agents can pick the people up or until they can be transported to federal immigration detention facilities. Late last month, DeSantis, who campaigned on a hard-line immigration stance, urged the state's sheriffs to join a handful of their colleagues participating in the "287(g) program," named after a section in a federal immigration law, that allows them to train and authorize personnel to identify and process undocumented immigrants. 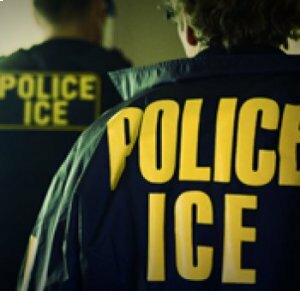 The article goes on to quote detractors, the usual lineup of immigrant advocates and open-borders groups who complain about potential "racial profiling" and other ills for which there is no empirical evidence, as reasons not to participate and, in fact, not to cooperate with ICE in any way. Of course, as I explained in a recent post, the kind of noncooperation they advocate, in the form of sanctuary policies, actually results in a substantial number of victims (not least among them police officers and sheriffs deputies) who are killed or injured by illegal alien criminals when they are released in lieu of honoring immigration detainers. ICE does not have the capacity to expand the 287(g) program. They just don't have the bandwidth to do it. They don't have the money. They don't have the resources. They can't put the training on. So, the 287(g) program is legal. It's proper. It works. But there's no capacity to do it. Sheriff Gualtieri is clearly a great friend and ICE advocate, a rare thing these days; I hope the agency has properly acknowledged his leadership in this arena of police-ICE cooperation in detention and removal of alien criminals. But the situation he describes, while true, is unacceptable. That's straightforward, compelling language directly from the president of the United States to his subordinates in the executive branch, specifically the Department of Homeland Security (DHS) and its component, ICE. If they "don't have the bandwidth" it's because they've failed the president in carrying out his orders. The agency has been depressingly slow in reconstituting the 287(g) program since its functional dismantling by the Obama administration, and it's hard to fathom why. It's a great program. The "jail model" of the 287(g) program is administered by the Enforcement and Removal Operations (ERO) side of ICE, which is primarily responsible for apprehending and deporting alien criminals. Having cross-trained and designated sheriff's deputies or police officers in the booking stations and county jails helps ensure that these criminals are detected promptly, detained, and put into removal proceedings, instead of being returned to the streets to re-offend. Yet very few of these programs have been initiated since the agency was freed from Obama-era constraints, even though the oversight mechanisms of the 287(g) program, both within the agency and at DHS Office of Inspector General, are robust. Worse, on the other side of the ICE house, at Homeland Security Investigations (HSI), absolutely no 287(g) programs have been re-instituted, for instance with various state police organizations or local police specializing in busting human trafficking operations. These agencies are HSI's best eyes and ears in detecting alien smuggling and human trafficking organizations, because who is more likely than cross-trained troopers to come across loads of humans being transported across America's highways, while in the course of their everyday patrol duties, and who is more likely to become aware of so-called "safe houses" filled with trafficked or smuggled aliens waiting to be further dispersed? With 287(g) not only are the loads interdicted and the safe houses detected, thus causing a tremendous loss in funds and prestige for the criminal cartels that undertake such smuggling, but through the debriefing of the smuggled aliens, and their drivers and guard-keepers, HSI is better able to quickly hone in on higher levels of the criminal conspiracy. This would be a win-win situation for all concerned, and the power of such force-multipliers can't be denied. So why hasn't this happened? It's particularly ironic since at least some of the folks at HSI have complained that they're unable to be fully effective in anti-smuggling efforts for lack of resources. See, for instance, the recent Atlantic article, "Human Smugglers Are Thriving Under Trump", an article that is completely misguided and wrong-headed in every respect except in noting that smugglers are thriving. Of course they are with such egregiously porous borders and so many massive loopholes allowing abuse of our asylum laws! That has zero to do with "zero tolerance policies", as the article would have us believe. But I digress. In other words, as long as they are acting within the scope of the law (which is the same standard applied to federal officers), 287(g)-designated state and local officers are immune from suit. The importance of this immunity can't be emphasized enough, since it is lawsuits and the threat of lawsuits that have intimidated many enforcement agencies into severing their cooperation with federal immigration authorities. Thus, under 287(g), everyone wins: ICE gets a windfall in force multipliers in key areas of its operational mission; state and local governments can ensure that, to the maximum extent possible, alien criminals are being plucked from their communities rather than allowed to continue engaging in criminal activity on the street; alien smugglers and human traffickers run greater risk of being apprehended, whether on the highways or in safe houses they establish for en route travel; and the people, citizens and immigrants alike, who live in communities where agencies participate in 287(g) programs, are freed from predators and recidivists who make their daily lives significantly less safe and diminish the quality of life that they and their children would otherwise enjoy. So the question for both DHS and ICE is simple: Why aren't you complying with the president's directive and making the bandwidth needed to sign on more state and local partners? Who Got the Jobs in Florida?